Cypress, CA. Now that’s a city that has seen some changes. First inhabited by Native Americans, the landscape has transformed considerably since the small rancherias that covered the area. The arrival of the Europeans to Cypress in 1769 marked a turn in the history of the city, although they were extremely frightened by a series of earthquakes that occurred around the same time off the banks of the Santa Ana River. But it seemed they couldn’t resist the rich farmland, and in 1784, a Spanish line officer acquired the area. Over the years, Cypress continued to grow, first with the introduction of large cattle ranches and then with the rise of the gold rush. It didn’t take long for the city to prosper into a thriving community. Today, Cypress has become a wonderful family-oriented community complemented by a diverse collection of local businesses. One nearby business that has been serving the people of Cypress is our Norm Reeves Honda Huntington Beach dealership. As a proud used car dealer near Cypress, CA, we at Norm Reeves Honda Huntington Beach feel an obligation to serve our neighbors with friendly and high-quality automotive care. We are part of the local community and take pride in helping it grow. One of the best ways that we can do that is by supplying you with super prices on a super selection of pre-owned vehicles. After all, that’s why they call our dealership a Superstore. Youll be able to find the perfect used car for you and your family by allowing our friendly sales consultants to help guide you through our expansive inventory. Then we will let you take each model that you like for a personal test drive so you can be sure its the right car for you. Once you find the used car you’ve been searching for, our expert finance department can help you drive it home today. We will work with the local banks and lenders to secure you the credit that you deserve and work out an affordable financing plan that works into your budget. Your path to finding a great used car has already started, so now its time to move to the next step. You can begin by looking through our used car inventory, available for free on our website. Then find a few models that have the features you want and schedule a test drive. Our dealership is easy to get to from any direction, but you can find easy-to-follow directions by using the interactive map on our website. Just type in your address and well take care of the rest, providing turn-by-turn directions from your specific location. Isn’t it time you found a quality pre-owned vehicle at a dealership you can trust? 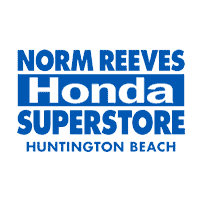 At Norm Reeves Honda Huntington Beach, were here to help you every step of the way. Give us a call today at (888) 405-0115 and find out for yourself why were the trusted used car dealer near Cypress, CA.